In 2006 Twister set out to revolutionize the way floors are cleaned by introducing the original diamond pads, radically changing the need for chemicals in daily floor cleaning. With TwisterTM pads, all you need to add is water. We truly believe in the benefits of Twister and we work tirelessly to contribute to a better, cleaner and healthier world for everyone. This year has been no exception. During 2017, we have sold 460 166 daily cleaning pads. That means we have helped save approximately 7,8 million liters, equivalent to a little more than 2 million US gallons, of chemicals while daily cleaning has been carried out in hospitals, airports, railway stations, retail stores, universities and other public buildings all over the world. What an amazing way to end they year! 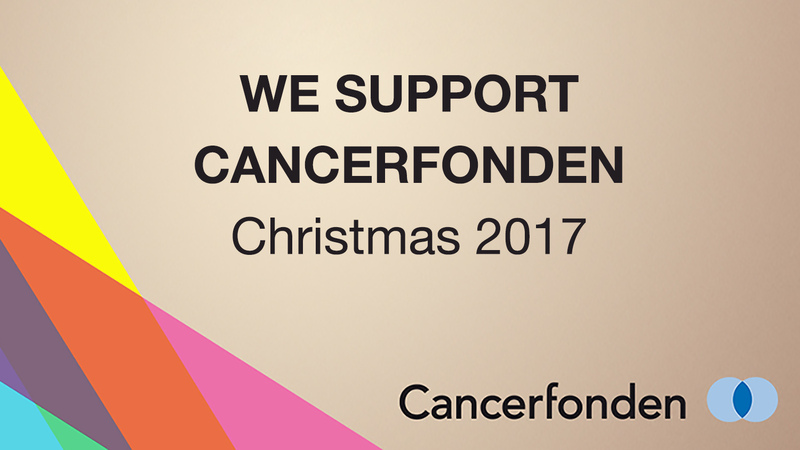 To celebrate these numbers, as well as a truly successful business year, we have chosen to donate a corporate holiday gift to the Swedish Cancer Foundation – Cancerfonden. A warm thank you to you all of our partners, customers and colleagues for 2017 and for believing in a better, cleaner and healthier tomorrow for everyone. With these last words, we would like to wish you all A Happy Holiday Season and A Truly Joyous New Year!